Love is love. No one should have to hide away because of who they love, any more than they should have to hide away for wearing size 10 shoes or having blue eyes. I read and review stories about men in love here: come in take a look, maybe read one of the Thousand Word Thursday stories (tagged Thousand Word Thursday or free read), or find a book to read later. The men in these stories could be men like your friend or your brother, your neighbor or classmate. The difference between a bigot and a homosexual is that a bigot has the possibility to change.And is the only one we should ask to change. Leave a comment here or anywhere on the blog (I can find it) to be entered into a drawing for $10 in ebook bucks to use at All Romance eBooks or Omnilit. Follow the blog for an extra entry into the drawing. "The difference between a bigot and a homosexual is that a bigot has the possibility to change.And is the only one we should ask to change." Great quote Cryselle. We just have to keep spreading the word. Great quote! I totally agree with it. I am GFC follower too. Not entering, just showing my support. I'm thrilled with how many people joined this effort. What a show of unity! "The difference between a bigot and a homosexual is that a bigot has the possibility to change. And is the only one we should ask to change." Well, they've all said it - what a quote! Great quote! 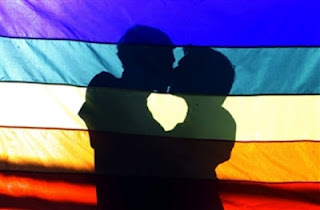 Love is love, nothing else should matter! I agree with everyone else, that is a great quote! Great post. Thanks for participating in the HOP. I totally agree with you, Cryselle. I wish people would focus all this energy on making themselves better people instead of attacking others. I showed a bunch of these post to the teens in my family to show them how hurt some "innocent" remarks are to many others. I get so annoyed when my nephew says "you're so gay". ERRRR drove me crazy. I know he didn't mean anything by it but it is so wrong to use that as a saying. I think that these post have helped. Thank you all for sharing with us! A great quote. Thanks for sharing!! I'm a follower. thanks for a great post and for participating in the hop. There is no room in the world for bigotry and they need to change for their own sakes as well as everyone else's. No one with that much hatred in them can possibly be happy. Great post and I agree-love is love. I believe everyone deserves to be Openly Happy in Life, to be with the Person who Loves & Completes Them, without having to be subjected to the ignorance of some close-minded people. True Love does not see Race, Gender, Socio-Economic Status, etc….if people understood that, there would be so much more Happiness in this World. I would very much appreciate the opportunity to be considered in your very generous giveaway for a chance to be entered into a drawing for $10 in ebook bucks to use at All Romance eBooks. Thank You for participating in the Hop Against Homophobia. Thanks so much, I have a ton of MM in my ARe which list! "The difference between a bigot and a homosexual is that a bigot has the possibility to change.And is the only one we should ask to change." Amen. I really enjoy Thousand Word Thursday stories. They are great to get familiar with the authors style of writing. Thank you for keeping it going. Thanks for sharing with us, I am loving reading all the posts from this hop. I had a friend who came out to everyone, his family, his friends and he was blessed to not lose anyone. Actually most everyone already knew who he was and had excepted him a long time ago, it was actually him who took so long to accept who he was. All of his family and friends support and love him and this is how it should be! This is how it should be coming out, people should love you no matter who you you fall in love with. Thanks for the post. I have really enjoyed this blog hop. Thanks so much to everyone who came by to show solidarity for the GLBT community. I'll be announcing a winner tonight.